This post contains affiliate links - if you click these links and make a purchase, I may be compensated. This year, I've had the great pleasure of working with and getting to know Marie Segares, author of the new book Make Money Teaching Crochet. I am very excited to share with you more about Marie and her new book, through this interview. You could also win your very own copy! Read on to find out how. 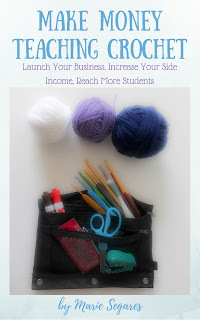 Make Money Teaching Crochet starts with goal setting, and then walks you through the steps to reach those goals. Learn business basics like pricing and payments. Determine your target audience, and learn marketing strategies to reach that audience. Develop lesson plans and tools to help you provide an organized, professional, and fun learning experience. This book is available in several formats to suit your preferences: There's an e-book version , as well as a print Workbook Edition. The workbook version includes extra worksheets and forms. If you prefer an electronic version but still want the extra features, there's the Ultimate Printable edition which includes the same worksheets, as well as editable/customizable forms. Whatever format you choose, this book really can help you Make Money Teaching Crochet. Q: Your fiber arts career includes designing, publishing, blogging, teaching, podcasts, and more. Is there one aspect that you like best? If so which one and why? Marie: I can honestly say there isn’t one aspect that I like the best. I’ve always been one of those people that enjoys rotating between different types of work to keep things interesting. It’s also a great way to make sure I have money coming in to the business from a variety of different sources all year long. Q: Other than the CYC certification, are there any industry memberships or certifications that have helped you grow your career? How have they been useful? Marie: When I first started my business, I joined the CGOA as an associate professional and participated in the mentor program. Mary Nolfi was my mentor and she really helped me to get my design career off the ground. 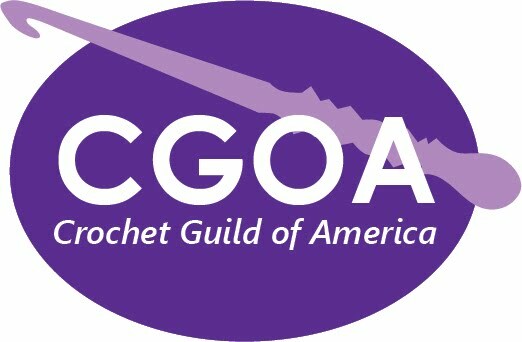 I encourage any CGOA member who is interested in pursuing a crochet- or yarn-related career to ask for a mentor. Q: Aside from the crochet business, do you have a background in accounting, business management, marketing, etc? Marie: Yes! I grew up in a very entrepreneurial family, so there were a lot of business discussions that I got to listen to around the table in my teens. I started my career as a health educator so I had to market my classes and services to the community and use persuasion to encourage people to change their behaviors to be healthier. Later on, I moved into non-profit management and created budgets and tracked expenses for grant funds. I also earned a master’s degree in business administration at night while working full time. As part of that program, I took classes in accounting, marketing, management, and entrepreneurship. Marie: I love getting the chance to meet people I wouldn’t normally get to know and learning about the way that crochet impacts their lives. Q: Is there an age group, skill level, or other segment of students that you particularly enjoy? Why? Marie: I’ve been teaching at a local union since 2008 and I’ve grown to love working teaching mixed-level groups. I think there’s something more dynamic about a mixed-level class. Students can help and inspire each other – and me – with their project ideas. I have taught children but I prefer working with adults. I meet a lot of great friends that way! Q: What do (or did) you struggle with most about teaching, and how are you overcoming (or how have you overcome) that obstacle? Marie: I think the biggest challenge for any teacher is a student who is really disruptive in a group class. Since I primarily teach adults, I have to be really diplomatic about how I engage these students. To be honest, it isn’t really an obstacle you can overcome. Each student and class situation is unique so I have to have a “bag of tricks” and try different approaches. Some students can be gently redirected while others have to be pulled aside for a more direct conversation. Q: Do you think some face-to-face teaching experience is helpful before doing on-line videos? Marie: I do. One of the challenges of video classes is that you don’t necessarily get the same feedback as you would have when teaching face-to-face. Even in live streaming classes, there are sometimes delays that impact the feedback you get from a student. With that being said, I do think there are some great online teachers who don’t have any face-to-face experience. I think teaching is more of an art than a science. Q: In section 1, you talk about thinking ahead to the next 5 years. Where do you see your business 5 years from now? Any new and exciting avenues you plan to explore? Marie: 5 years from now, I’d like to have much more video under my belt. I’d like to do some more collaboration with other businesses. And, I’d like to have at least 5 more books published! Q: If someone was interested in hiring you to teach at an event, how should they contact you? Marie: I can be reached on Facebook, Instagram, Ravelry, or Twitter, or via email. 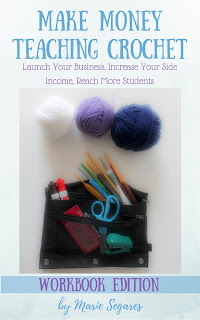 You can win your own free copy of Make Money Teaching Crochet! Marie is generously providing an Ultimate Printable edition ebook for one lucky winner. To be eligible, you must be 18 years of age or older, with a valid email address. The prize will be sent to the winner, at the email address provided in the entry. The giveaway ends on July 8th 2016 (at 11:59pm central time). Hurry and enter below! Disclaimer: A free review copy of Make Money Teaching Crochet was provided by Marie Segares of the Underground Crafter. Although I accept free products for review, I do not accept additional compensation, nor do I guarantee a positive review. My reviews are based entirely on my honest opinions. All images of copyrighted material are used with permission. 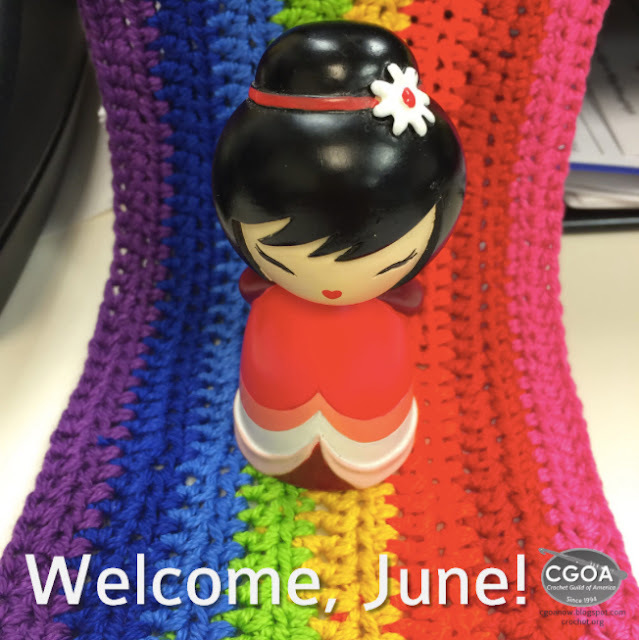 I'm Marie Segares and this is the sixth post in a monthly series on CGOA Now! where I feature a CGOA member and tell her story through an interview. 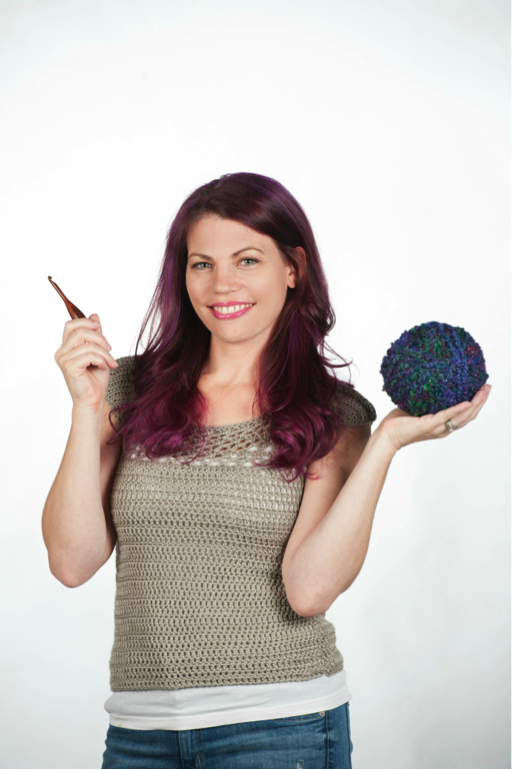 This month's interview is with Lorene Eppolite from Cre8tion Crochet. Lorene started designing in 2012 and she loves to make fun and easy accessories and garments. Lorene also strives to make her designs achievable for any skill level. 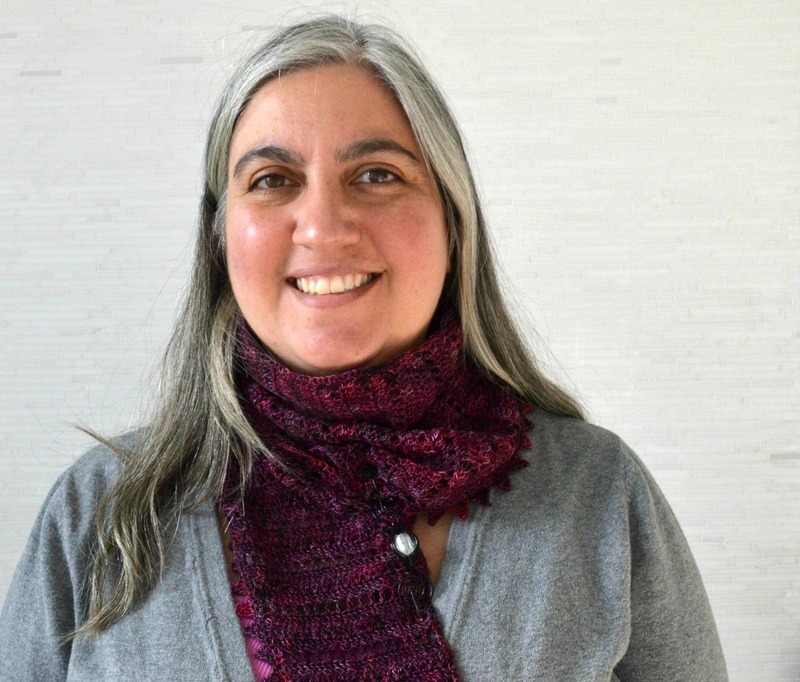 She was named one of the Top Ten Designers by The Yarn Box in 2012 and by AllFreeCrochet in 2013, 2014, and 2015. You can find Lorene on Cre8tion Crochet or follow her on Facebook, Instagram, Pinterest, or Ravelry, or by subscribing to her newsletter. All images are used with permission and are © Lorene Eppolite/Cre8tion Crochet. 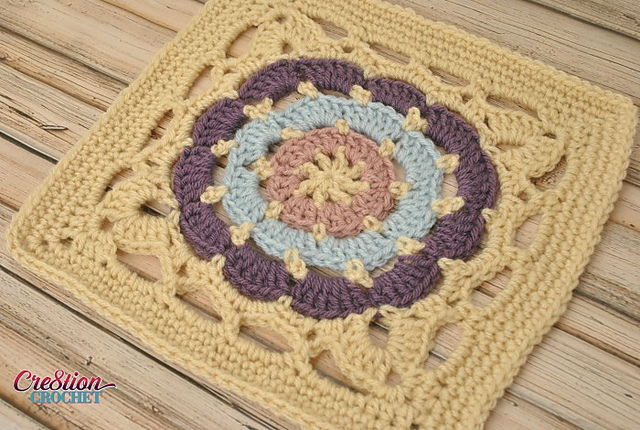 The Windmill Square, free crochet pattern by Cre8tion Crochet. Marie: How did you first get started crocheting? Lorene: My grandmother taught me how to crochet a little bit as a child. Basically I think it was just chaining and maybe double crochet. Occasionally throughout my teen and early adult years I would pick it up and play for a little while. I never made anything more than scarves or glorified baby blankets (one stitch, one color and when I ran out of yarn, the project was over, lol). This all changed when my best friend was expecting her first child, who just turned 6 this May. I wanted to give her a gift that she could keep as an heirloom, so I decided to make her a baby blanket. I was pleased with how well it came out. The stitches were nice and even and it looked really pretty. I decided that I wanted to make her a matching hat, so I just started playing around. The first hat was not as pretty but it wasn’t so bad either. 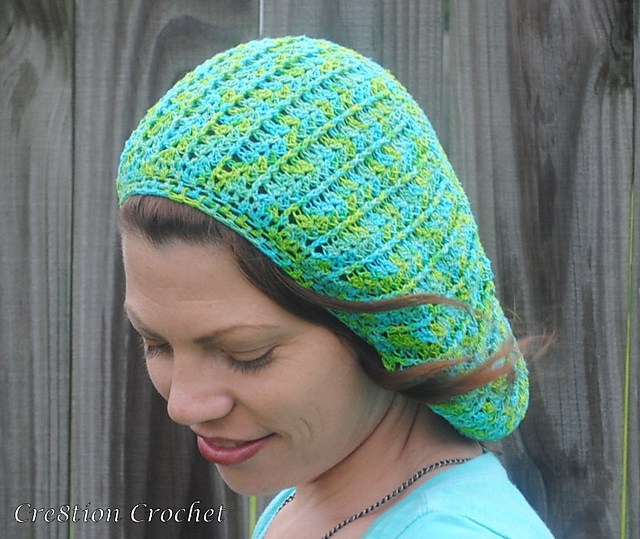 Sea Breeze Summer Slouch, free crochet pattern by Cre8tion Crochet. Marie: When did you start designing? Lorene: I started designing at the same time, but only for personal use. It wasn’t until just a few years ago that I ever even looked at a crochet pattern. I taught myself from looking at pictures and lots (and LOTS) of frogging. I was just selling my finished items but people kept asking me for the pattern. I decided to start a blog with my own free patterns, and it’s been history from there. 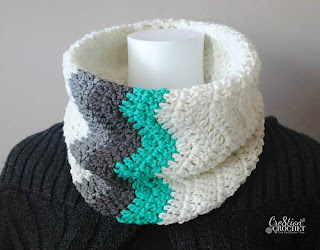 Bulky Striped Cowl, free crochet pattern by Cre8tion Crochet. Marie: How long have you been a member of the CGOA? What’s your favorite thing about being a member? Lorene: I joined the CGOA in 2013. Until then I had never heard of the CGOA. I googled “crochet professional membership” and they popped up. This was at the time when I was really getting into designing and blogging and I wanted to be affiliated with a professional group. I was so happy I did because I learned about their next conference, which was being held in my own state. Only 5 hours away, and in a town where I had family. My husband thought I was crazy when I said I wanted to go, but little did he know where this opportunity would lead me. I had found some success before the conference but this was definitely one of the catalysts to my business booming. 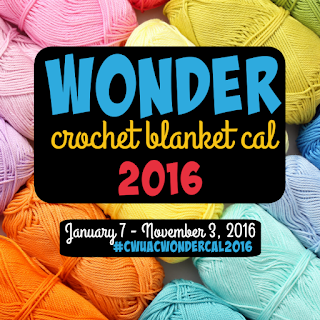 I met some wonderful people in the industry as well as meeting lots of lifelong crochet friends. 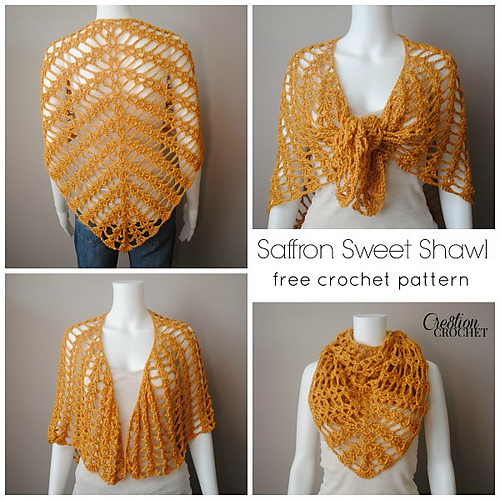 Saffron Sweet Shawl, free crochet pattern by Cre8tion Crochet. Marie: You started out as a maker and have shared many posts on the business of crochet on your blog. What tips would you share with a crocheter just starting to charge for her/his work? Lorene: Two things really, well maybe three. 1) Do not sell yourself short. Learn about pricing, and learn about your demographic before pricing your items. You can start by reading my Selling Your Crochet, a 6 part series that teaches you everything you need to know about getting started, from what to sell, where to sell, how to market yourself and more. 2) Make sure your work is of a high caliber. Practice seamless crochet, invisible finishing, or other techniques designed to make your work professional. Be sure to weave in your ends, well. You don’t want them slipping out after you sell your item, or worse, having it unravel. 3) Take good photos. Nothing sells your work better than great photos. Use props when possible, have an uncluttered background and make sure your pictures are in focus. You don’t have to have an expensive camera, nowadays cell phones take excellent photos. Unique V-Neck Cropped Vest, free crochet pattern by Cre8tion Crochet. Marie: What are your favorite types of crochet projects? Lorene: Hmmm, this one really depends on my mood. I LOVE tops, tanks, tee’s, sweaters, etc. 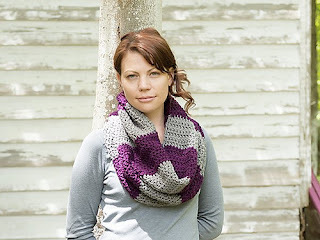 But I also love cowls and shawls. I love fashion so it just seems natural to me to create items you can wear. While I’m not so much into home decor or amigurumi, I have made a few of these types of patterns and it is fun to mix it up sometimes. Winter Waves Chevron Cowl, free crochet pattern by Cre8tion Crochet. 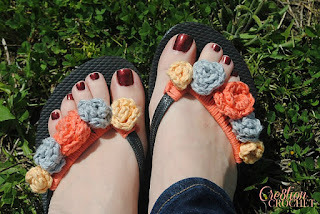 Marie: What are your favorite types of crochet projects for relaxing? Lorene: When I want to relax I make hats, or cowls. Something a little more mindless, that follows an easily repeatable pattern. 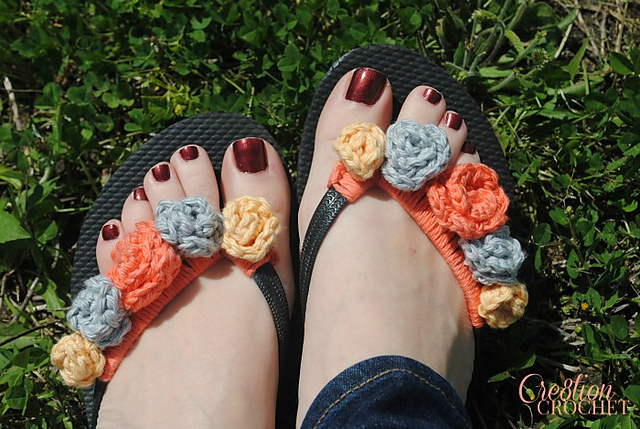 Flower Power Flip Flops, free crochet pattern by Cre8tion Crochet. Marie: What are your favorite types of crochet projects for challenging yourself? Lorene: Garments with a lot of shaping and fancy edging. I like crocheting from charts, much more than patterns, so occasionally I’ll find a nice lace or edging chart online and play. 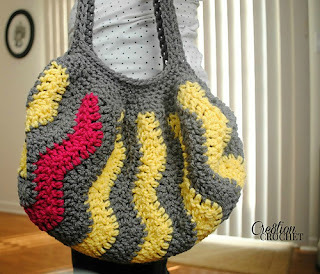 Pop of Pink Vertical Chevron Bag, free crochet pattern by Cre8tion Crochet. Marie: What are your favorite types of crochet projects to give as gifts? Lorene: The things I give most often as gifts are scarves and cowls. I love that they are one size fits all. Cathedral Window 12" Square, free crochet pattern by Cre8tion Crochet. Marie: What are you working on in 2016? What's next for you? Lorene: So many things, never a dull moment. Most of what I’m working on is under wraps, so I can’t share a lot about it, but it will be an exciting time for me. Lot’s of growth and expansion is on the horizon. One thing I can share is that I am working on being more disciplined with my designing and blogging. Over the last couple years, between having babies, raising kids and just general craziness, I have been too lax with organization and consistency. I hope to release a new free pattern every week, just as soon as the craziness of getting ready for CGOA conference in 2016 is over. I’m heading up the design competition with my friend and fellow blogger, Jessie Rayot of Jessie at Home. Thanks so much for sharing your love of crochet with us, Lorene, and for the volunteer work you do for the CGOA Design Competition! Readers, you can enter the competition through June 30, 2016. Find more details here on the CGOA website. Welcome to the final installment of our Across the Board CAL! As a recap, everything you need to know about the CAL can be found on this post. You've all worked so hard on your afghans, so for this segment we're pleased to announce the grand prize sponsored by Berroco! Berroco is donating a kit to make their Antigone shawl pattern. This elegant and lacy shawl is made with Berroco Mykonos™ yarn. This yarn is a DK weight blend of linen, cotton, and nylon that drapes beautifully! This prize is being shipped directly from Berroco and is available to be shipped to the contiguous United States and Canada. Enter the giveaway through the Rafflecopter below for your chance to win! Entries will be accepted from June 6th through June 19th, 2016, and a winner will be selected on Monday, June 20th. For this segment, all we have left to do is the Assembly & Border! For this we have to thank Marcy Smith, editor of Interweave Crochet, and whom you will remember from the Think Crochet strip. If you only pick up one tip from this blanket, let it be the Fine Art of Fudging! It will save you much headache and frogging in future crochet patterns. These instructions can be found on page 15 of the Across the Board 2015 booklet. Hello, everyone! Lift your hooks to welcome June and be happy as the summer has begun! It has been a lot of fun getting to know the extended CGOA community through these questions of the month. 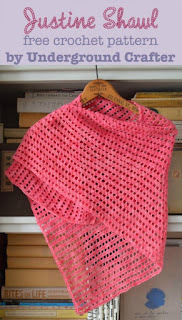 Last month I wondered what inspires your crochet? There were quite a few responses, so let's dig in! What inspires me to crochet? Well, grandchildren started it: baby afghans, baby hats, baby sweaters, baby toys, baby booties, so many cute designs! Once I got started, I moved on to varied projects and here I am doing the Across the Board CAL! Jane was certainly not alone, as Janet also shared her love of crocheting for little ones. " 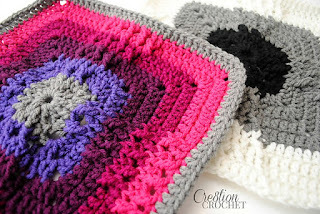 I love to crochet baby blankets." Rylen agreed, "Babies make me want to crochet. Thankfully that's in the WATER, everybody drinks the water.. eventually." Family! I'll see something and think to myself, "hey they would love this!" But what if you would love something; or what if you need something? Crochet to the rescue! Chickie717 is inspired to crochet, "Whenever I need something like a new hat or head band ...It seems to inspire me the most." Sometimes patterns have us running to the stash or yarn store! Barbara shared, "I love to crochet about anything with free patterns: blankets, ripples, granny squares..."
Nine hours a day!? You are lucky and prolific, without a doubt! Linda lauded yarn by stating her inspiration is, "Just the feel of the fiber and just knowing what a beautiful product you created." 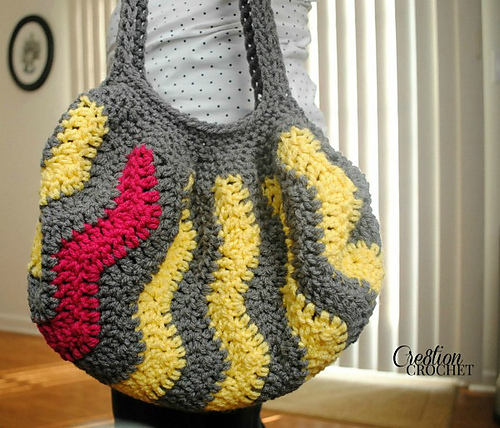 Crocheters bask in creativity and our craft is a wonderful outlet for the inspiration we feel. LiLphanie wrote, "I find the creative process itself inspiring! What can I make, how can I make it, what yarn do I want to use, what colors? I usually have an idea in mind of what I want to make and then play with the stitches, shape, size etc. as I go." Susan wrote she is inspired by, "What i will eventually create (the finished product made by my hands)." Look around. Anything can inspire crochet. CGOA-ers Theresa, Tammy, and Patricia are inspired by "Life, Everything, and House work I do not want to do." respectively. I hear you on all accounts! It was wonderful hearing all that makes you want to crochet. 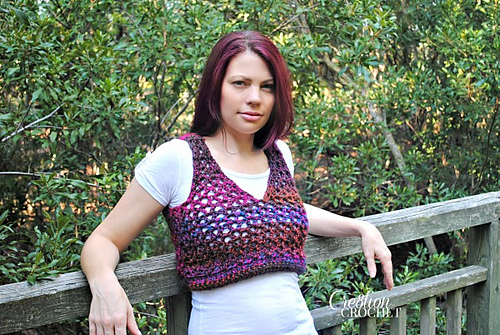 Now let's dive into what the crocheting is really like when you use a pattern. For this month, I want to know how often you use the yarn suggested in the pattern. As we know, published patterns often use a specific brand and color of yarn. However, it is the crocheter's choice to use either the suggested yarn in the suggested color, the suggested yarn in a different color, or a different yarn altogether. Especially when I first began crocheting, I often substituted yarns out of necessity. The reason being that I didn't really have access to all of the yarns I saw in the pattern books and downloads because I was living out of the country. Now that I am back in the States, I sometimes use the suggested yarn and I can see that there is a certain sense of satisfaction to that. But what do you like to do? 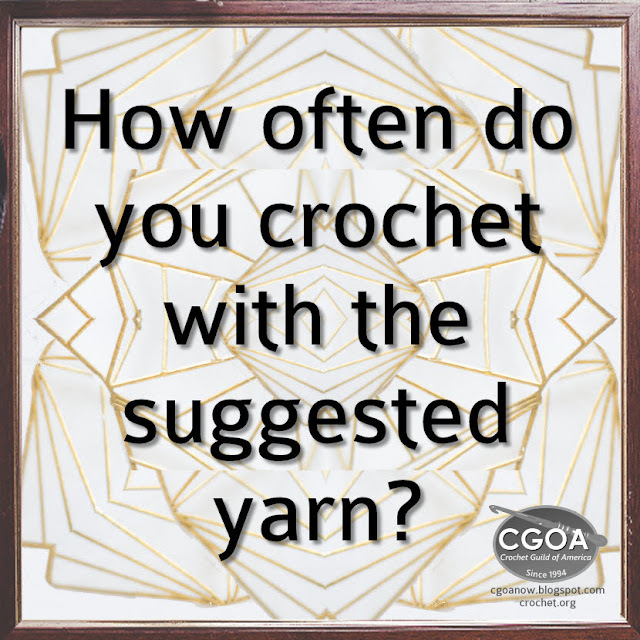 CGOA people spin a great yarn and yak a lot, so let's keep the conversation going. Please leave a comment here on the blog, and let's connect on social media! I can be found on facebook, twitter, Pinterest, Instagram, Tumblr, Google+, and YouTube. Join my monthly newsletter about crafts, crochet, and education. I'm on Snapchat every day!